Although I missed it, I want to honor National New England Clam Chowder Day (January 21st) with a weekly recipe from one of my favored Maine cookbooks. It seems especially appropriate with the New England Patriots facing off in the Super Bowl tomorrow (Go Pats!). Personally, I enjoy all types of chowder – it combines many of my favorite foods and flavors and it meets my number one recipe requirement: simplicity. For today’s post, I went directly to my Superb Maine Soups cookbook by Cynthia Finnemore Simonds – “Maine Clam Chowder” can be found on page 60. The recipe serves 4-6. In a large saucepan, saute the bacon until crispy and place on a paper-towel-lined plate to drain. Reserve four tablespoons of the bacon fat in the saucepan and spoon out the rest. When bacon is cool enough to handle, crumble into a bowl and set aside. Cook the onion in the remaining bacon fat until translucent (don’t brown). Add the potatoes and cook until fork tender. And here’s where the recipe and I went in different directions. 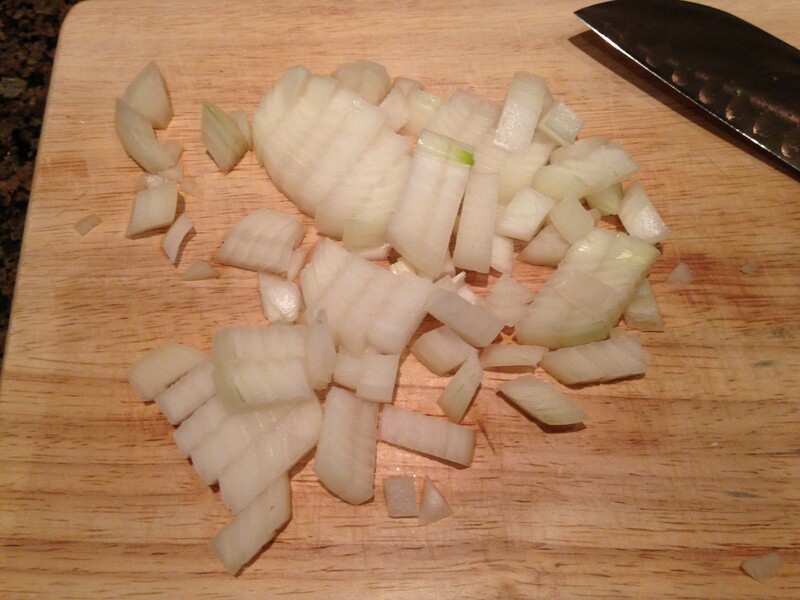 The recipe as written: Remove the potatoes and onions with a slotted spoon – place the mixture in a bowl and set aside. Stir the flour into the fat in the saucepan, scraping up any brown bits from the bottom with a whisk. Add the clam juice, whisking constantly until the flour is completely incorporated (you don’t want any lumps). Continue cooking on low heat until thick. What I did: because I didn’t use as much flour, I didn’t see the point in removing the onions and potatoes. I slowly added both the clam juice and flour in tandem, whisking / stirring to combine. This worked for me… but to each their own! Return the potatoes and onion to the thickened liquid, and add the clams, milk, cream, salt, and pepper, and stir well to combine. Warm the mixture, but don’t let it boil. Ladle the chowder into bowls and top with the reserved bacon. A few closing tips: if you prefer not to use the bacon, just start with a few tablespoons of butter. In my opinion, this is not the time to try to substitute olive oil. As my brother would say (and he’s a heck of a cook), “it needs a little fat.” You will miss out on the salty, smoky bacon flavor, but it will still be delicious. Also, as with many of my recipes, I like to add more veggies to create a nutritious, one-dish meal for us – things like corn and even kale complement this basic recipe well. Categories: Eat, HoME Grown, Weekly Recipe | Tags: chowder, home cooking, Maine, New England Clam Chowder, recipe, Superb Maine Soups cookbook | Permalink. It is a nearly universally accepted truth that wine is intimidating. Even now, as someone who knows a fair amount about wine and someone who certainly knows what she likes in a wine, I am apprehensive about engaging in conversations with another person who “appears” to be quite well-versed in the language of wine. It’s human nature to want to be right and to be perceived as knowledgeable – and let’s face it, wine is just hard to know. There are so many varietals, and the same varietal may be called one name when grown in one region, and another when grown somewhere else. Add in labels in French, Italian, German, and heck, even English – and you’ve got an awful lot of ways that people can feel, well, ignorant. The label says it all. But here’s one thing you can know: when you shop at Portland’s newest wine shop, Maine & Loire, no matter what bottle you buy, you’re getting a low intervention wine. So what does that mean, and why does it matter? Fundamentally, this approach is based in the belief that the entire process of making wine must be rooted in respect for the land (terroir) and the natural development of quality grapes into quality wine. In layman’s terms, it means chemicals aren’t applied in the vineyard (or very minimally), it means the grapes are cared for and harvested by hand, natural fermentation is allowed to take place (no manually added yeast), and it means the aging and preserving process is impacted as minimally as possible by additions like sulfites, which occur naturally in wine and are often added as a preserving measure. It was this last item that excited my husband, Nick, the most. The morning after he and my dad consumed an entire bottle of Pinot Noir, purchased during our visit to Maine & Loire, he enthused, “And I don’t even have a headache!” What a proud moment. While the emphasis on terroir driven, low-intervention, and natural and organic wines sets Maine & Loire apart as a shop, there is no question that it is the welcoming, knowledgeable owners who make it come to life. As they say on their website, they celebrate wines that are “alive and soulful,” and believe firmly in only selling those wines they also love. Their recommendations come from the heart in addition to a wealth of research. As Peter said, “what you see in the store represents more than a year of research.” For impact’s sake, I have chosen to interpret this to mean an entire year’s worth of hours – 8,760 (but perhaps I’m being too literal). Regardless, a great deal of time, energy, and care has gone into the selection they present in their bright, industrial space. Labeled shelves and plenty of open space make for easy browsing. If you’re on the fence about visiting, you shouldn’t be. Check them out (and scoot next door to Maine Mead Works while you’re at it) at 63 Washington Ave, Portland, Maine. In fact, they have their first tasting coming up next Saturday, January 31st from 2pm – 5pm. My number one recommendation when you visit: talk to Peter and Orenda, the owners. Get their guidance and recommendations – and don’t be intimidated by the labels and languages. Wine is meant to be enjoyed first – only discuss it if you want to. 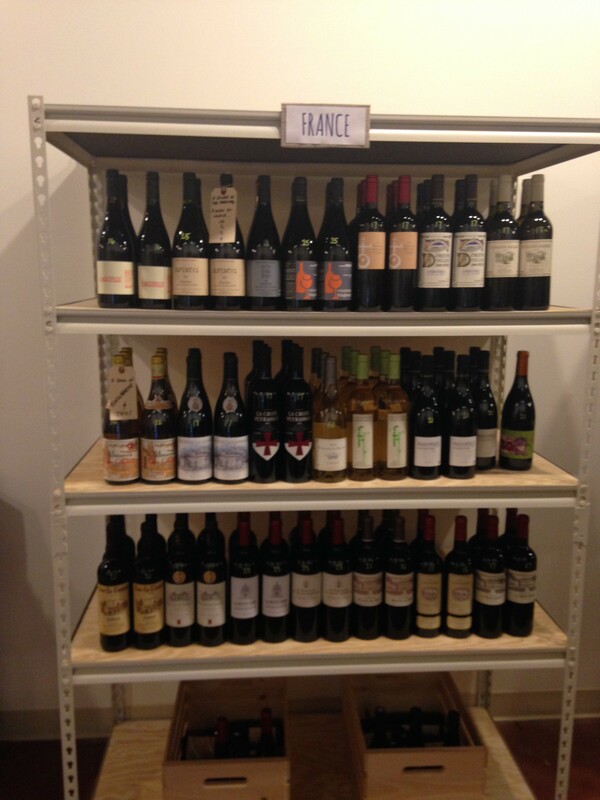 As Maine & Loire’s site says, drink more wine! 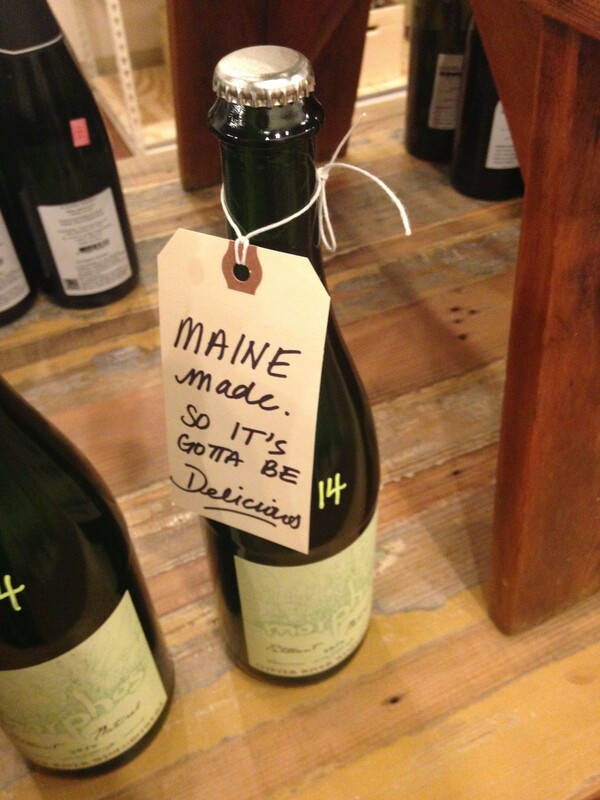 Categories: Drink, Play, Shop | Tags: Maine, Maine and Loire, Portland, wine shop | Permalink. It may come as a surprise to learn that I wasn’t always particularly thoughtful about, or interested in, food and its preparation. As you read my weekly (okay, sometimes bi-monthly) recipes and other various compositions about meals, sourcing food locally, and healthy eating, it likely seems that I’ve been immersed in the culinary and agricultural landscapes for most of my life – and perhaps the seeds were indeed there – but in truth, I didn’t cook at all until I was in my early twenties. I can pinpoint landmark memories throughout my culinary journey: unwillingly participating in caring for our family vegetable garden as a child; making chocolate chip cookies (and a mess) in my best friends’ kitchen as a teen; watching a close college friend prepare spaghetti sauce, and admittedly feeling somewhat inadequate because I had no idea how to do that myself. Now, with the clarity of hindsight, I can see the hints of interest and enjoyment were there all along. They just needed a little time and aging, like a fine wine. It’s been about five years since the moment it dawned on me that I truly enjoy cooking. That I actually found pleasure – and relaxation – in the process of chopping, mixing, sauteing, baking, serving. It was during a time in my professional career when I was struggling – unhappy in a job that was extraordinarily stressful and emotionally taxing – and I didn’t have much energy or enthusiasm when I got home at night. Despite this – or maybe even because of it – one night I decided to go rogue (meaning no recipe, unheard of for me in those days), and just throw a pasta dish together. Undoubtedly, my courage was bolstered by the glass of Chardonnay I’d already consumed. A short time later, chopped onion and garlic were sauteing in butter, mussels (admittedly, from a frozen package) had been added, and I boldly decided I could sacrifice some of my wine for the betterment of the sauce. In the end, the only “healthy” part of that meal was probably the whole wheat penne (and not the half-stick of butter in the sauce), but it was tasty – and more importantly, it was fun. The recipe I share today is another from the Vaughn kitchen – an evolved version of this very first experiment. It serves 2-4, depending on how much seafood and pasta you make. Set water to boil and cook pasta per package directions. Melt butter over medium heat and add onion. Saute briefly before adding mushrooms and garlic. Saute until onion is soft and mushrooms are brown. I typically toss in a splash of the white wine at this point (it creates such a fun sizzle in the pan! ), and then I add the seafood, slowly incorporating the remainder of the wine as the seafood cooks. Finish by stirring in the heavy cream, and season to taste. Combine with pasta and serve. Yum! This is a favorite at our house. This is a recipe to adjust to your tastes – in fact, I’m not sure that my 1/2 cup wine, 1/4 cup cream measurements are entirely accurate, because I rarely measure them. I pour an amount that feels right, then taste the sauce and adjust quantities accordingly. You could easily add a combination of cheeses, like asiago and parmesan, for a thicker, cheesy sauce. I’ve included veggies ranging from broccoli to spinach or kale at times (this is so I can pretend my cream sauce is “healthy”). I hope you enjoy this recipe, if you try it. I also hope you learn to experiment on your own, if you don’t already. For me, it transformed meal preparation from a task that was necessary to survival to an opportunity to focus on creating (and leave all that work stress behind). 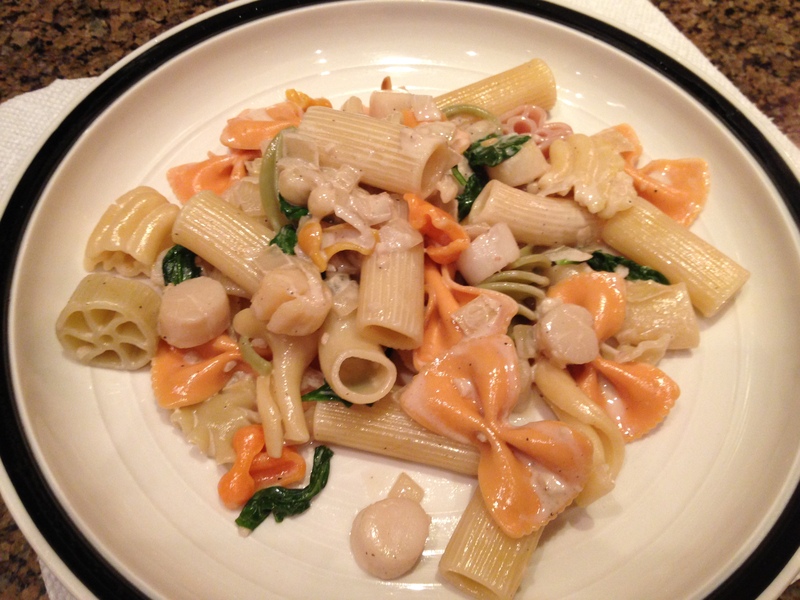 Categories: Drink, Eat, Weekly Recipe | Tags: cream sauce, fun, home cooking, seafood pasta | Permalink. It is hard to believe we’re forging into 2015 (already?). 2014 seems to have passed in a blur (in my mind, I envision 2014 as the Roadrunner cartoon), which is not particularly surprising when I reflect on how much changed for us throughout the last year. There have been highs and lows and a lot of personal growth. We left Charlotte, North Carolina and the community, the special friends, we had come to have there. We arrived in Macon, Georgia and were quickly welcomed and made to feel a part of a new circle of friends. We went through all of the practical and emotional changes that go hand-in-hand with a big move while also moving into the next phase of our professional lives. With 2014 feeling like such a flash in time, my hope for 2015 is to fully live in and appreciate every moment – perhaps then, even if it passes just as rapidly, I can experience it with fewer frantic moments. As we all move into 2015, I wish everyone a year with more highs than lows, with quality time spent with family and friends, and resolutions you’re able to keep. Mine is to focus on the real priority in my life – the people I care for – and stay in closer touch with each and every one of them. We’ll see how I do!